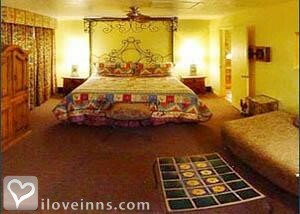 Phoenix bed and breakfast travel guide for romantic, historic and adventure b&b's. 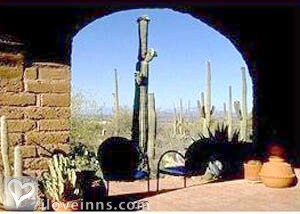 Browse through the iLoveInns.com database of Phoenix, Arizona bed and breakfasts and country inns to find detailed listings that include room rates, special deals and area activities. You can click on the 'check rates and availability' button to contact the innkeeper. Considered one of the fastest growing cities in the country, the city of Phoenix, Arizona boasts natural beauty, sunny skies, perfectly groomed golf courses and other sports and cultural attractions unique to Phoenix, such as major league baseball training. One of the things that a lot of people come back for is the amazing desert preserve system - there's quick and easy access to the Sonoran Desert and its rich biological assortment. Although considered a world class destination, most people still prefer to lodge at a Phoenix bed and breakfast because of a more intimate and personal treatment that innkeepers provide their guests. Once in Phoenix, the possibilities are endless. Among the several attractions in the city are the Pueblo Grande Museum and Heritage and Scenic Park. You can also try the Phoenix Zoo, the Arizona Science Center and the Orpheum Theater -- sites that you and your entire family will surely love! 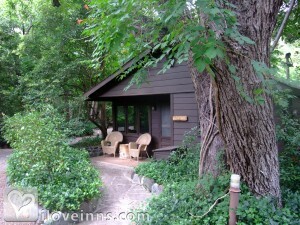 By Maricopa Manor Bed & Breakfast Inn. As the largest city of Arizona, Phoenix bed and breakfast inns are always ready to welcome guests streaming into the city. About 16 miles away from the city center is the Musical Instrument Museum, which has a display of various musical instruments from all over the world. Those who want the thrills offered by a balloon ride can try the Hot Air Expeditions. On the other hand, nature and wildlife is what the Desert Botanical Garden offers, which is located only seven miles away from the center of Phoenix. Camelback Mountain, with its terrain is ideal for hiking and mountain biking. It's eight miles away. Kids can have a great time at Phoenix Children's Museum. By Maricopa Manor Bed & Breakfast Inn.